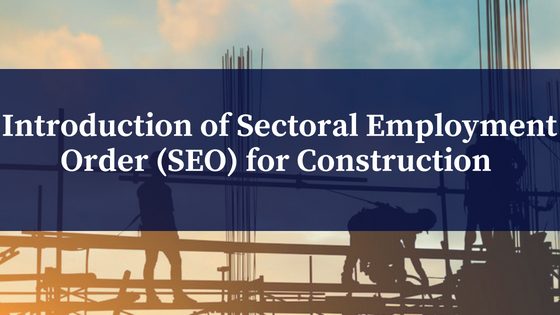 As you may be aware, in October 2017 a Sectoral Employment Order (SEO) was taken into effect for the Construction Industry. Employers in the construction industry are now legally obliged to implement the recommendations set out, for all their specified workers, aged between 18 and 65. – Employers must register all specified workers for Pension, Death in Service and Sick Pay benefits in a pension scheme that meets the standards set out in the Sectoral Employment Order. We have attached the Rates of Pay and details of the weekly Pension/Death in Service and Sick Pay contributions applicable. Please note that the new Sectoral Employment Order has particular implications for construction companies tendering for projects. The onus is on employers to prove that your specified workers are covered under the legislation. Therefore registration with the Construction Workers Pension Scheme (CWPS) or a similar scheme has become compulsory once again. The Construction Workers Pension Scheme (CWPS) meets the standards, as set out under the Sectoral Employment Order. It is extremely important that you, as an employer, register your details and that of your employees in order to adhere to these rulings. Once registered you will have to submit monthly reports/payments (we can arrange this on your behalf). Sector for the first time. In order to register or if you have any queries regarding the foregoing please do not hesitate to contact our office.